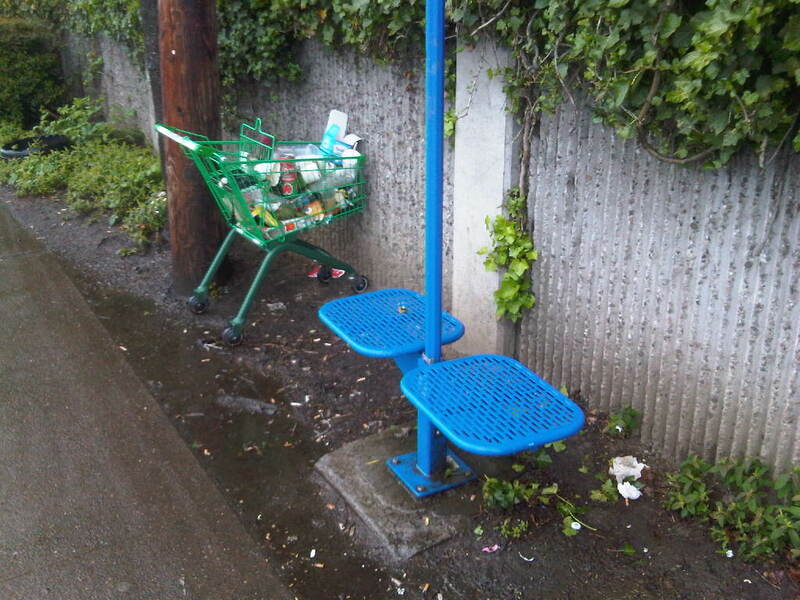 Along Scholls Ferry Road, on the border between Beaverton and Tigard, stands a bus stop. There is always trash littered about. Today, I cleaned up the scene in the picture below, returned the shopping cart and put up a trash bag. I was reminded of the negative power of the word but in a recent Toastmasters meeting. No matter how great the compliment you just bestowed; no matter how glowing the praise; no matter how well-intentioned your words, but takes it all away. From the point where you utter the word, all attention is now focused on the negative. The positive message is lost. But is also is a powerful inhibitor of action. If we continually excuses ourselves for not doing the right thing, for sitting when we can be moving, for always finding the fault in someone else, we inhibit our better selves. But is the great inhibitor and I’m going to do something about it.